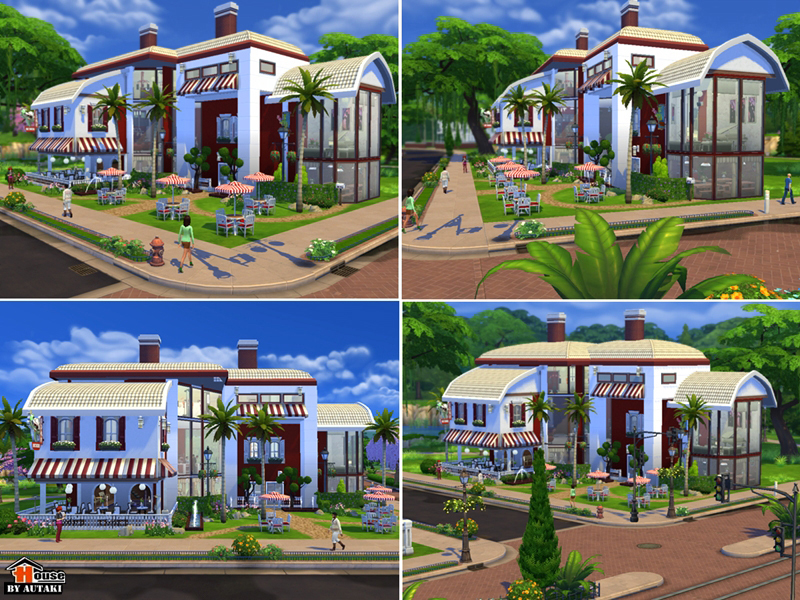 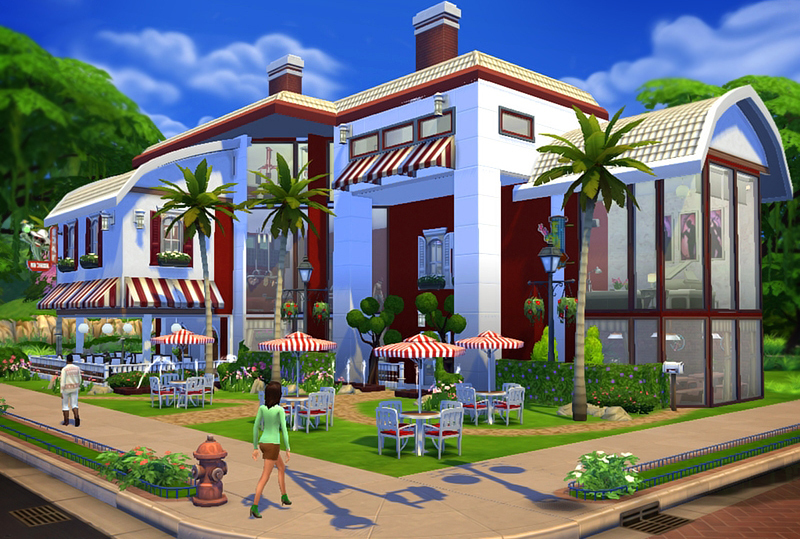 A beautiful red and white themed community lot which is a perfect combination of a restaurant and a bar. 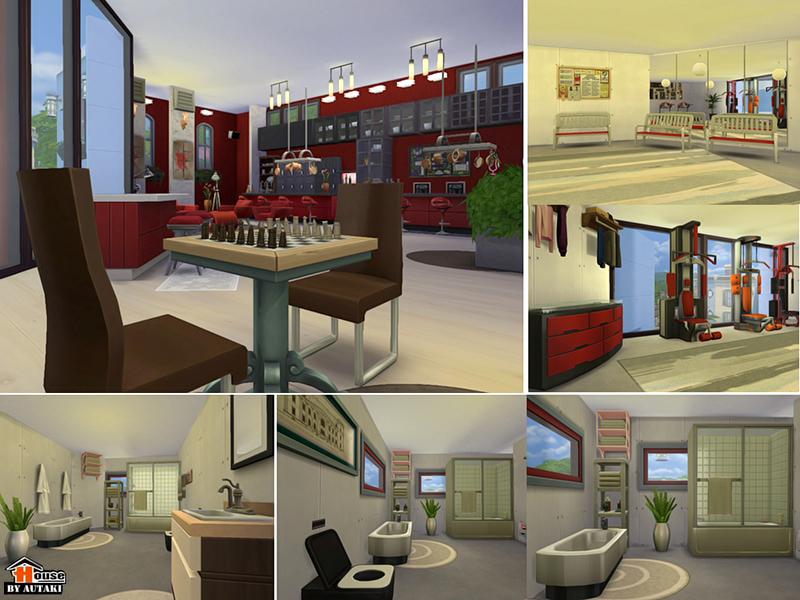 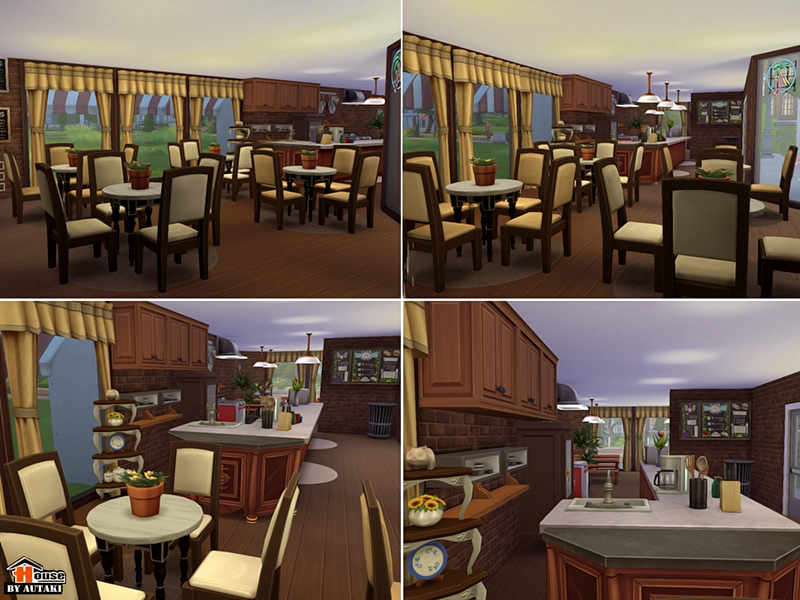 It offers a relaxed atmosphere for drinking, eating, and socializing for your Sims. The interior design of the pub has a modern look with some highlight on the furniture, while the restaurant has a classy vintage feel. 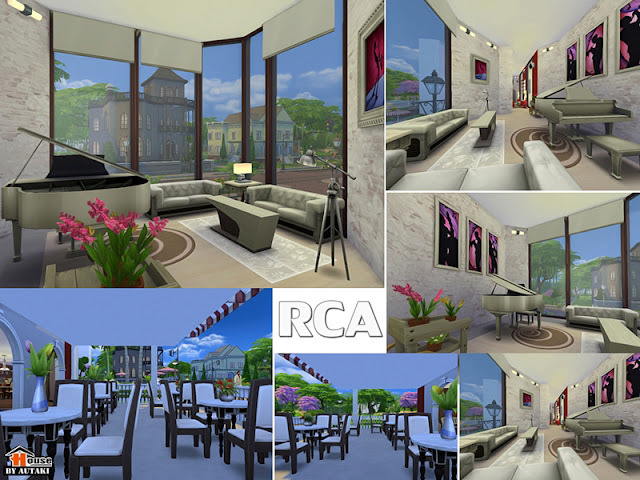 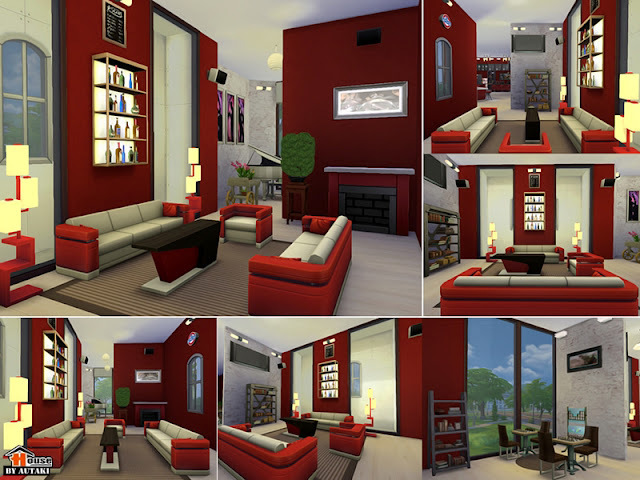 The value of this property is §163,868 simoleons, which is relatively cheap for this kind luxurious lot. This 3-story building has an area of 30 x 20. 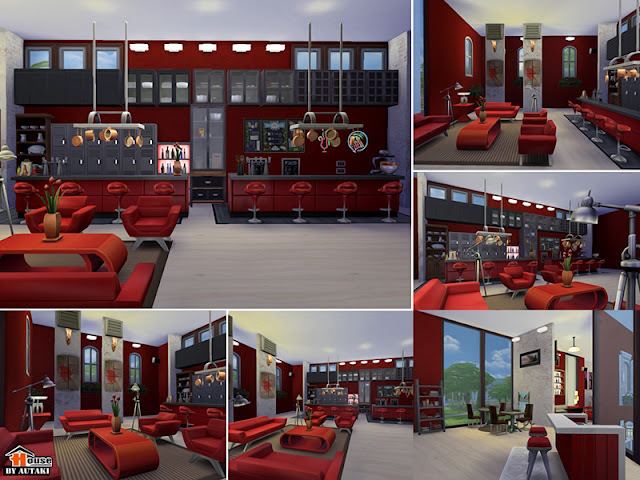 It's fully furnished and has everything that you need, from lounge bar to the dining area, comfy entertainment rooms, bathrooms and even a gym to stay in shape during your stay. 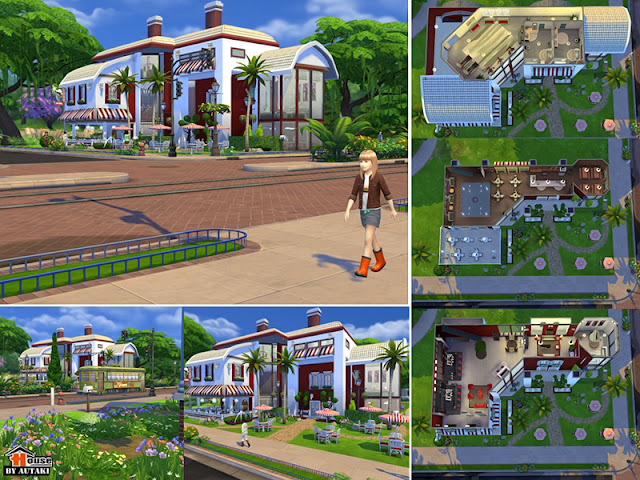 This TS4 creation does not have any custom content or game pack items. All you need is the Sims 4 base game to completely add it in your game. No CC required. Extract and copy the blueprint, bpi and tray item files (there are 8 in total) into your TS4 Tray folder located under \Documents\Electronic Arts\The Sims 4. Need a detailed step-by-step instructions? 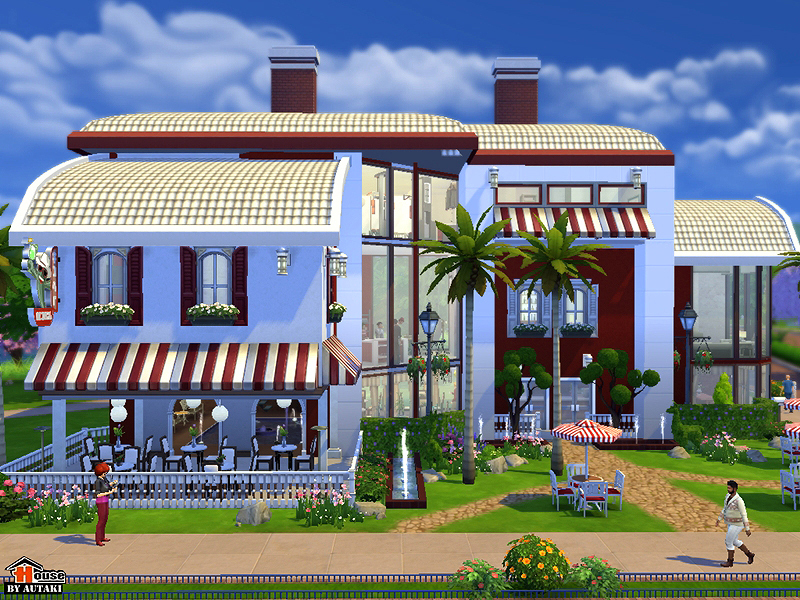 Read our tutorial on how to install downloaded lots.